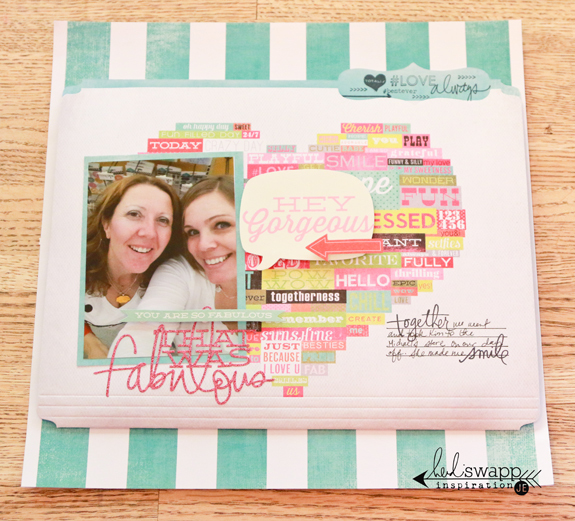 Do you have a funny story about how you got started scrapbooking. I do. I love telling it over and over again. In fact, I have shared it on Heidi Swapp's blog today and you must head over there to read it. It will make you smile. I am gearing up and getting ready for National Scrapbook Day. Are you ready to make a new record with 10k layouts on Instagram Saturday?! Join Big Picture Classes, Saturday May 3rd, for this fun and inspiring event! Heidi Swapp will be among the many teachers teaching free classes during the entire day! I can't wait!